Cut each cheese strings in half and place in the freezer for 2-3 hours. In a bowl combine cornstarch and flour. In the other bowl whisk eggs with olive oil. 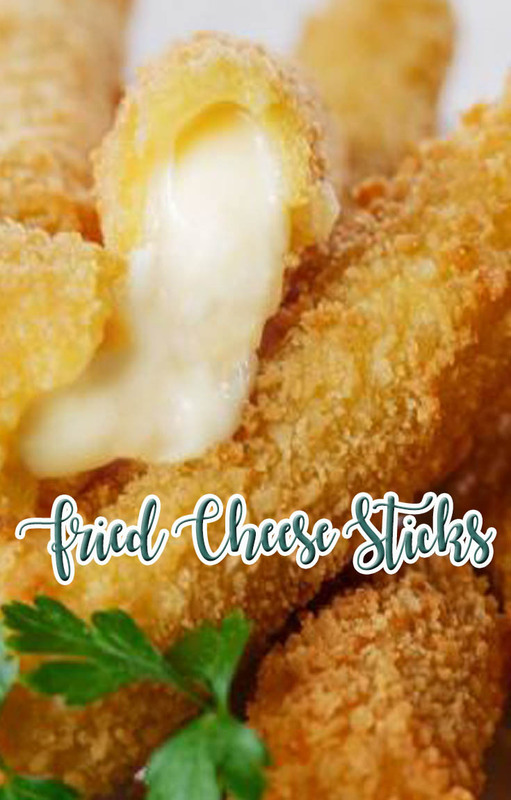 Dip each cheese stick in the egg mixture and then roll into the flour mixture, dip again back in the egg mixture and roll in bread crumbs until well coated.